The Regional Fertility Program in Calgary, Alberta, is making news after denying a white woman a non-Caucasian sperm donor. 38-year-old Catherine (whose name was changed) was shocked to discover that despite finding more ideal qualities in donors of other ethnicities, the Regional Fertility Program (RFP) only allowed her to choose from a narrowed-down list of about 20 Caucasian donors—many of whom had donated to other couples in the area. "I'm not sure that we should be creating rainbow families just because some single woman decides that that's what she wants," he said. "That's her prerogative, but that's not her prerogative in our clinic." Greene said doctors at the clinic feel "a child of an ethnic background should have the ability to be able to identify with their ethnic roots." He added patients should have a "cultural connection" to their donors. This brings up an interesting conversation given the constantly changing contexts of "culture"—to impress a limited notion of culture and family on someone is worrisome, even if other clinics often automatically set up couples or single women with donors that ethnically resemble them. Apparently, RFP has come under fire regarding this issue before—five years ago a white couple approached the clinic looking to use non-Caucasian sperm despite not having fertility issues to begin with. They were turned away. 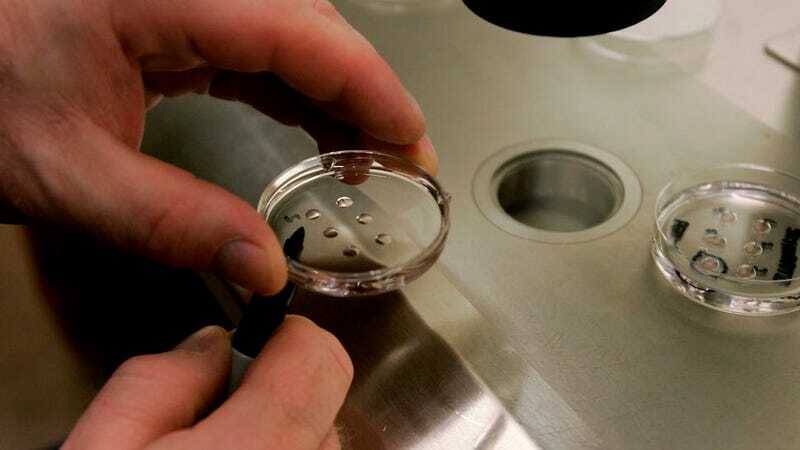 But Greene feels his clinic abides by the Canadian Assisted Human Reproduction Act of 2004 which sought a more woman and child-centered regulation of human assisted reproduction. "To assume that the colour of one's skin determines their culture, determines their well-being I think is unfortunate," he said, noting many could argue the Regional Fertility Program is producing designer kids by virtue of its own restrictions. Children whose ethnicity is different than their parents will "have a different life experience," he acknowledged. But "to assume that these different types of life experiences somehow put them at a disadvantage, or that we have to ensure that everyone has some kind of 'normal' family is, I think, a mistake." While doctors may maintain their decision to deny matches based on ethnicity, it certainly leaves many families hanging, seeing as RFP is the only fertility clinic in Calgary. Those looking for IVF would have to drive a few hours to Edmonton or fly to Vancouver to seek alternative solutions.